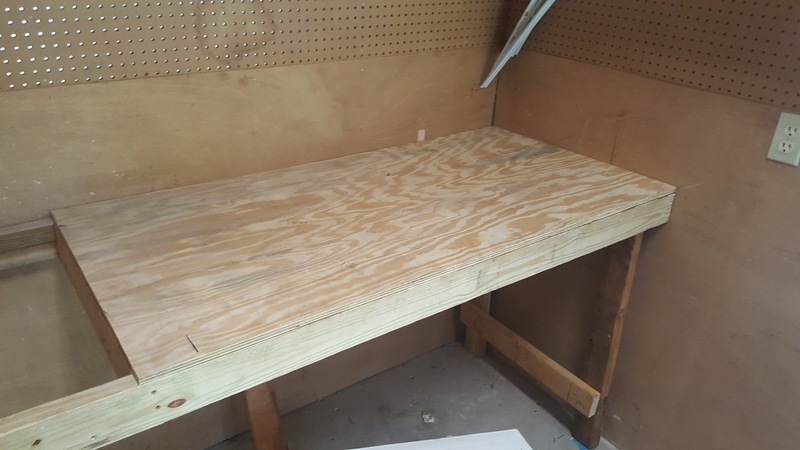 I finished the first shop bench on Sunday. 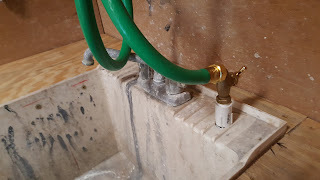 I did some plumbing hacking and added a hose bib on the sink so that I could attach a hose for a sprayer. 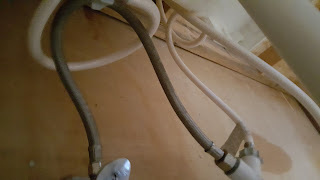 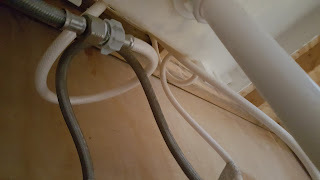 I usually attach a longer hose to this sink to wash my bike so adding an extra connection for a hose will free up the regular faucet. 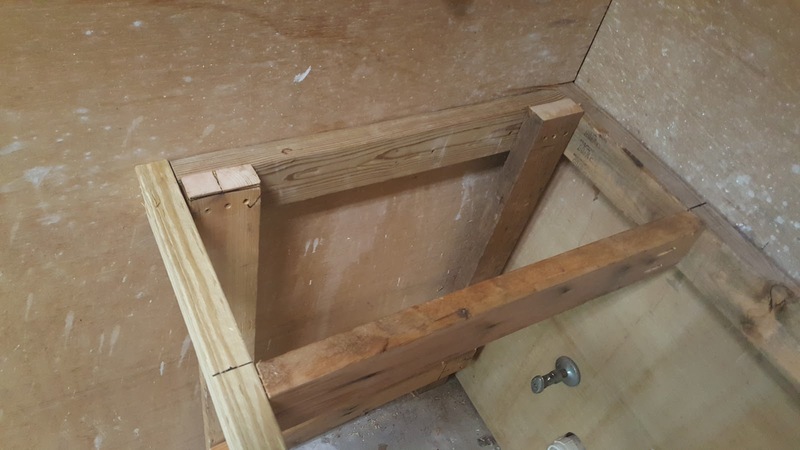 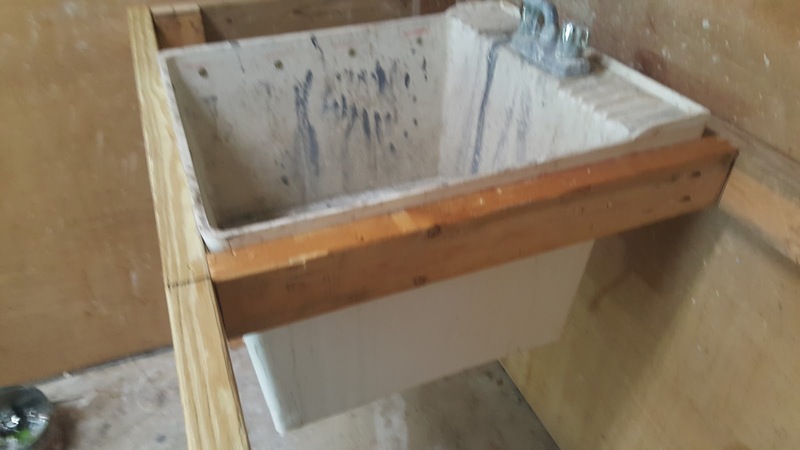 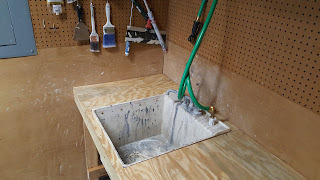 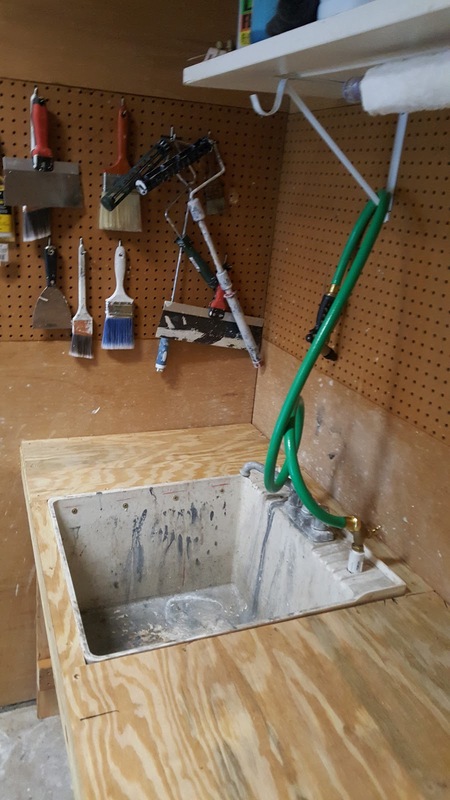 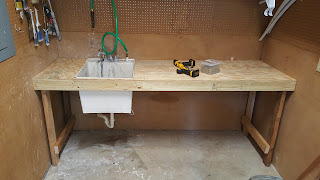 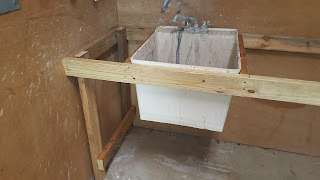 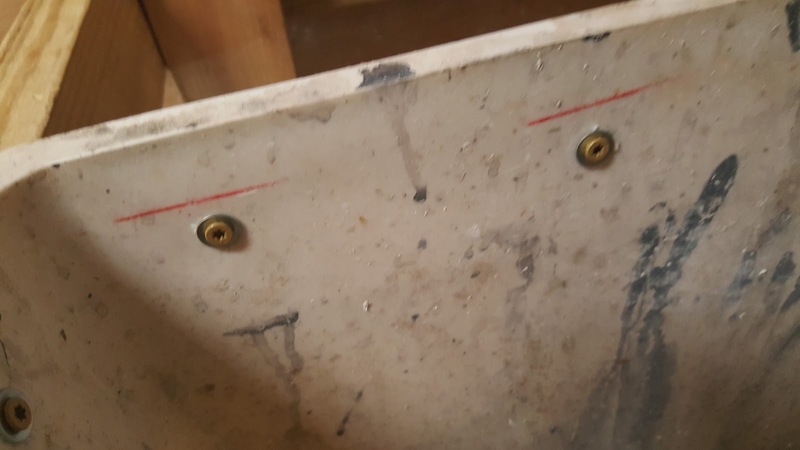 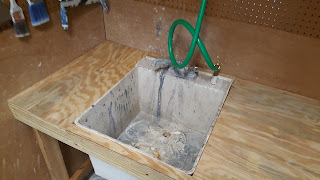 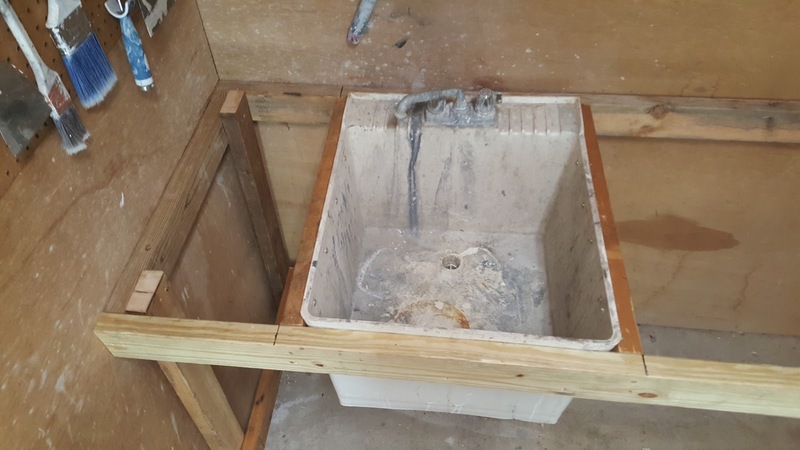 I removed the legs on the old sink and mounted it in the 2 x 4 framing before adding the 1/2 inch plywood top. I will paint and seal it later. 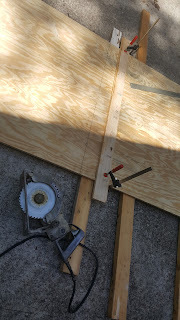 This is the first time that I have used a Kreg Jig Pocket-Hole Machinery for a project. I have been watching DIY wood workers on YouTube for a few years using this tool and I finally bought one. 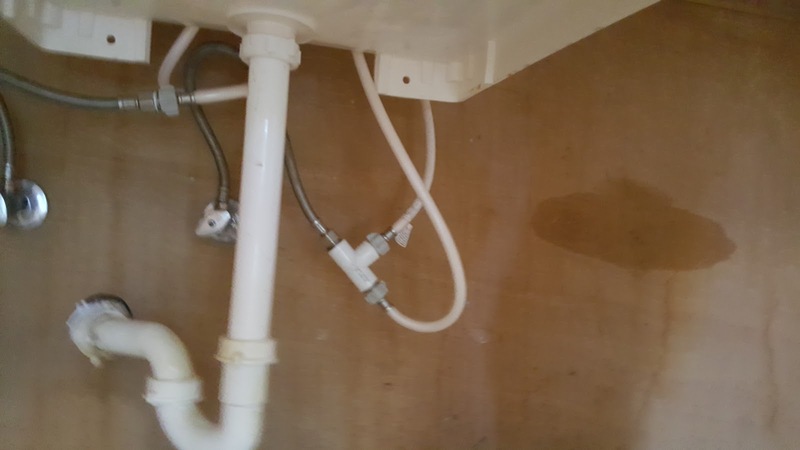 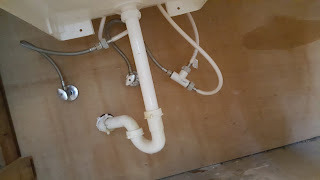 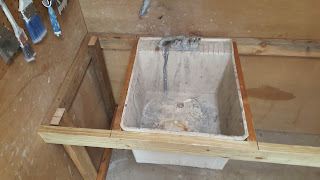 I used it to put in the sink supports and a top support after shoving the frame into the location which was really snug. 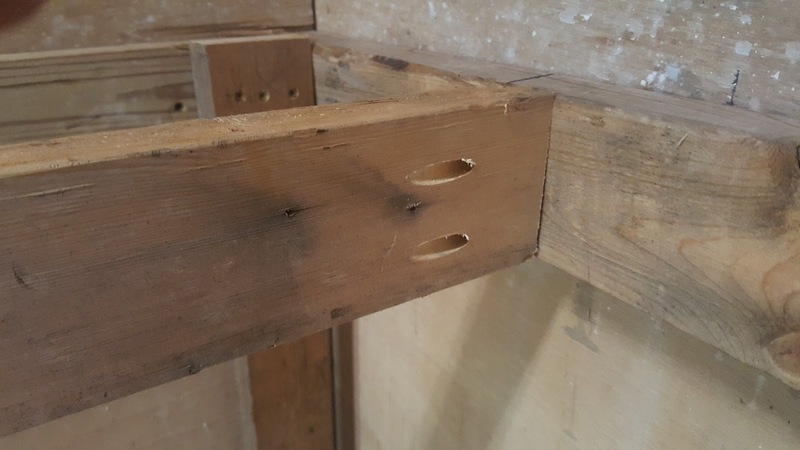 Having the ability to secure the 2 x 4 from the inside with the pocket hole drill was cool.